Seattle is the perfect location for a balanced lifestyle. 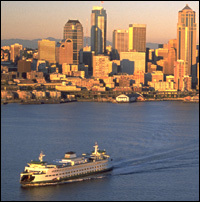 Nestled between the Cascade and Olympic Mountain ranges along Puget Sound, Seattle is a vibrant and sophisticated city. With a city core of culture, economy, and entertainment, Seattle is also surrounded by over 100 distinct neighborhoods, each possessing a unique identity and character. Seattle also offers urban recreation at your fingertips including golf, kayaking and canoeing, fishing and clamming, hiking, urban parks and rose gardens. A short drive out of the city leads to skiing, snowboarding, river rafting, hiking and some of the most scenic parks around. Seattle screams coffee, Bill Gates and the birth of grunge rock, but there’s more than meets the eye in Emerald City. Over three million Pacific Northwesterners call Seattle home, as did Jimi Hendrix and Bruce Lee. 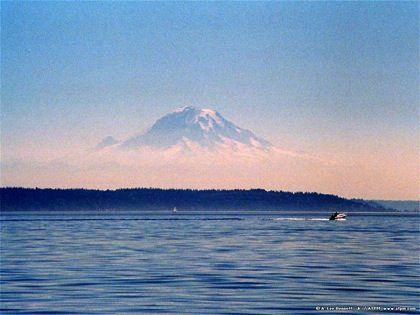 The continental United States’ northwesternmost point, Seattle sits on the Pacific Rim with sweeping panorama views of Puget Sound, the San Juan Islands, the Olympic mountain range and majestic Mount Rainier. Home to the University of Washington, Seattle is the nation’s most educated city, with the highest percentage of college graduates. Seattle offers its residents a high quality of life and travelers a memorable visit, with opportunities to golf, sail, ski, kayak, camp and hike, as well as urban pleasures like world-class restaurants, stylish shopping, luxurious hotels and vibrant nightlife, including, of course, an always-evolving live music scene. Within the Seattle city limits there are many community neighborhoods each offering a varied and unique lifestyle. From the Norweigen influenced Ballard neighborhood to the artsy ‘center of the universe’ Fremont area, Seattle has a community for everyone.